This country rap duo's original sound is perfect for any party! Big and Rich took the world by storm in the mid 2000s, revamping the classic “cowboy” image into something new. Big Kenny Alphin and John Rich make up the duo, harnessing their individual talents to produce their original sound. 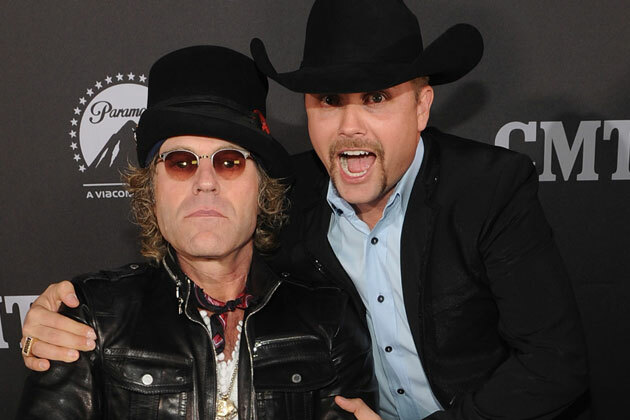 Enjoy these facts about Big & Rich below! 1. Big Kenny Alphin had a reality television show on TLC called “Big Kenny and The Family” that profiled his home life. 2. “Save A Horse [Ride A Cowboy]” was not only a hit in the Unites States, but found some success in Germany, hitting number 87 on the media control charts. 3. In 2004, Big & Rich released “Holy Water” as the third single from their album Horse of a Different Color. The song is a completely different vibe from the party-loving duo we normally see. The song was inspired by each member of the duo’s sisters, both of whom had experienced domestic violence. 4. Both members of Big & Rich have used their influential platform to contribute to a number of philanthropic organizations. Kenny contributes to the United Nations and Red Cross, and John’s win on Celebrity Apprentice allowed him to donate over $1 million to St. Jude Children’s research hospital. Share this with Big & Rich fans!